Great players slump, but that doesn’t lead Major League Baseball GMs to deal their stars after a few bad months. Fantasy baseball is different. There is a much more shortsighted approach in fantasy leagues, which puts elite players on the trading block when team owners are dissatisfied from a stretch of lousy returns. Thus the robust trade market in so many leagues in only the second week of May. With five weeks of play in the books, owners are questioning the value of MVPs, Cy Young Award winners, and Silver Sluggers alike. Maybe they are right to do so. Maybe this is the year these tenured superstars become pedestrian in ways only the baseball gods could manage. Bloody unlikely, we say. It takes a certain type of mental makeup and physical ability to be the best pitcher or batter on a baseball field. Your rival league owners may not be keeping this in mind after several consecutive losing weeks. Here are five star players whose stock has bottomed out as Week 6 begins. They represent the ideal trade targets. What’s going on with the Klube? For starters, he’s sharing space in the stat column with C.C. Sabathia as one of two AL pitchers with five losses on the young season. Meanwhile, Kluber’s 5.05 ERA is only slightly prettier than Sabathia’s and is more becoming of a 2015 Red Sox starter than the reigning Cy Young Award winner. 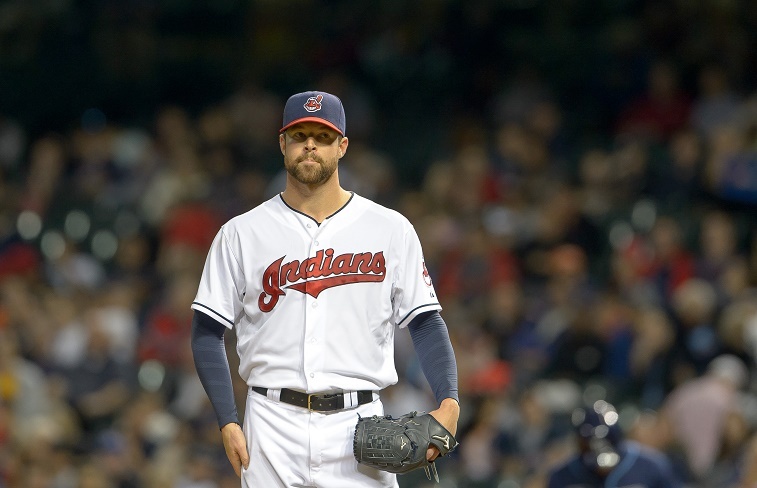 Chances are there is a rival fantasy owner out there who is tired of waiting for Kluber to pitch to the back of his bubble gum card. You might want to offer a hot starting offensive player who could come back to earth soon enough (Joc Pederson? 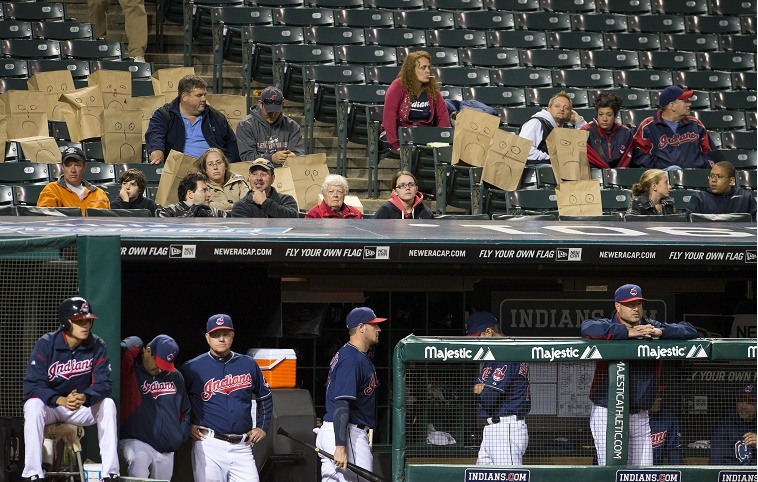 ), but either way it will be hard to ever find Kluber’s stock so low. Swoop in while you can. 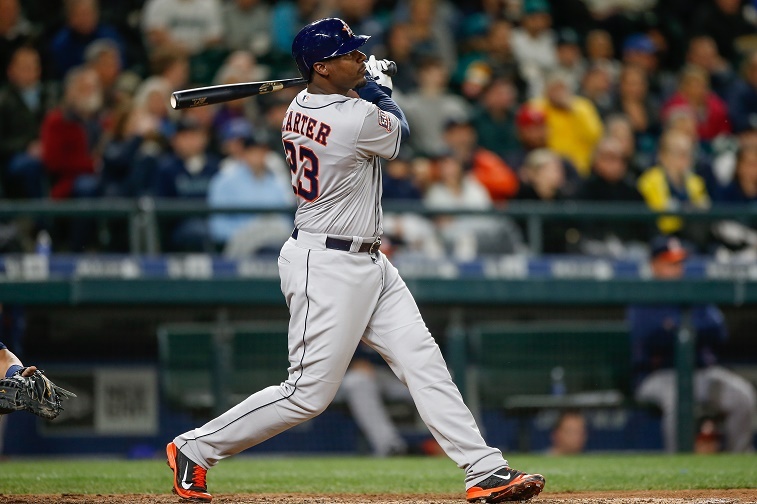 On May 6 last season, the Astros’ Chris Carter had a measly 4 HR with his average well below .200. Then he turned it on and began feasting on MLB pitching, enough to close the season with 37 HR and 88 RBI. We doubt it would take much an investment to take Carter off another owner’s hands at this point in time. Unlike real-life GMs, they only have to sell themselves on a month or so of production. Anyone with a stacked lineup should consider giving up a performer to get Carter’s massive potential. When Andrew McCutchen struggles, all baseball suffers, but we’ll save the rhapsodies for another column. 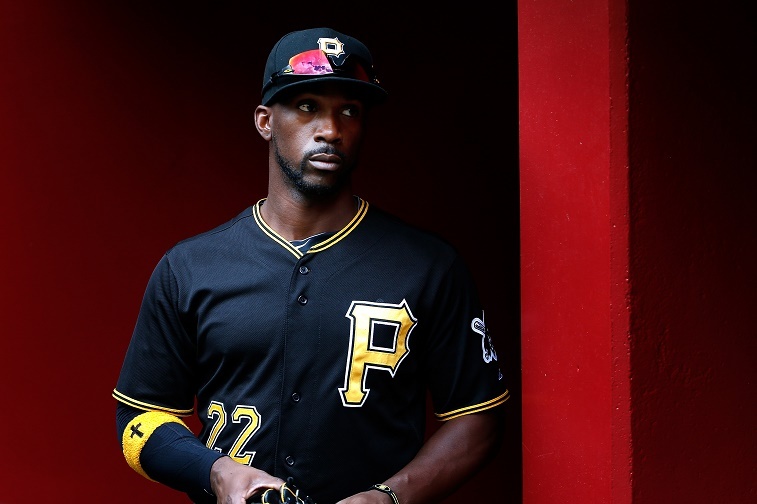 Good guy Cutch is hitting .210 with 2 HR and 1 SB before the start of play on May 8. That’s just uncharacteristic play from the perennial MVP candidate, yet it leaves the door open to a trade. The only hurdle will be convincing the other party that McCutchen will have a down year in 2015. You’ll have to part with someone of significant value to nab him and enjoy the upswing, but it’s possible. In a few weeks, it’s unlikely you’ll have such a chance. Like Kluber, Chicago’s Chris Sale is absolutely dominant when right, but the southpaw has been bad for most of 2015 (5.93 ERA bad). Throw in his five-game suspension for trying to bum rush the Royals clubhouse and you could even question his mental makeup. As with several other players on this list, you will not find a worse moment for Sale as far as fantasy value is concerned. Radar-gun readings say there is nothing wrong with his stuff. 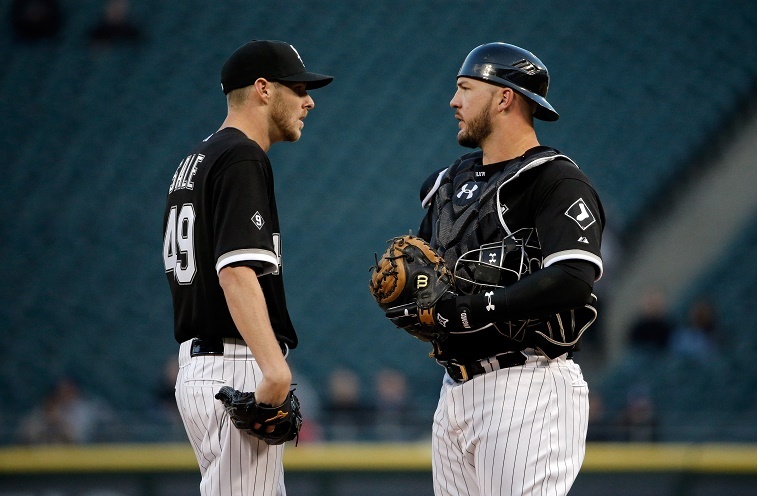 Expect the White Sox ace to correct his mechanics and start dealing again soon. Bid as low as you can but expect to give up something to land Sale. 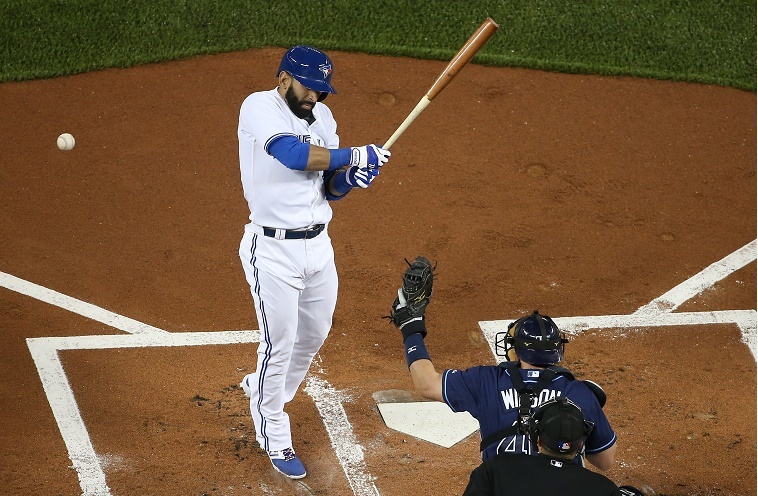 Do pitchers still fear Joey Bats? Not at the moment. Chances are they’re happy to see the Jays slugger at this point in the season, as there is no more menacing bat in the game when he’s on a homer binge. But that hasn’t happened yet, and Bautista’s power numbers (5 HR, 17 RBI) are hardly making up for his sub-Mendoza-line average (.197) one month into the season. Fantasy owners were likely incensed further when Bautista rode the pine in a recent contest against the Yankees. Sure, his shoulder may have been sore, but the explanation was more likely Pineda-itis. Take advantage of this poor start by the Jays masher and make a rival owner an offer he or she can’t refuse. There are a lot of home runs waiting in those bats. Stats sourced from Baseball Reference and current before play on May 8.